This method is for pairSIM WordPress Installations and WP Professional accounts. This will not work on WP Enthusiast accounts. You can recover your WordPress site's database password without resetting it. 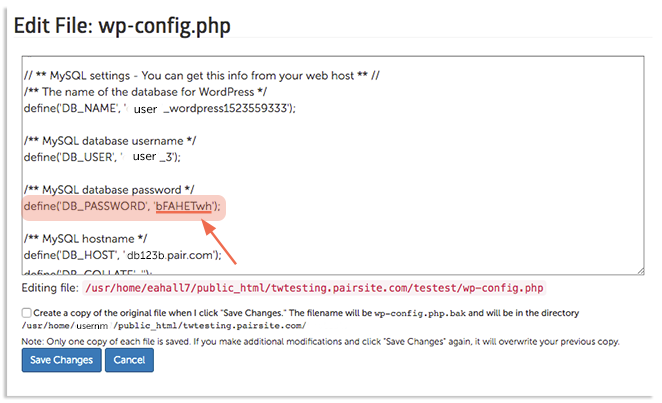 In fact, we do not recommend resetting your WordPress database password because, while this will change the password on your hosting account, it will not change it on the WordPress side. This can lead to a disconnect between your hosting account and your WordPress site and will likely cause errors. Luckily, there is a way to recover your WordPress password on your hosting account without resetting it. Use this password to log in to your WordPress site's database.